The First Yellow Oriental Lily! 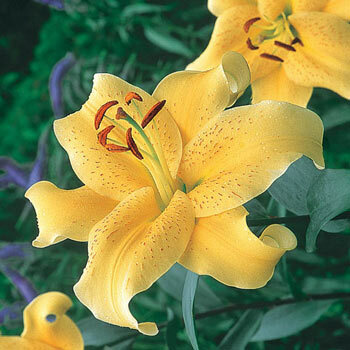 Upward-facing, fragrant blooms have a flush of deeper gold at the center, creating a dazzling effect. Guaranteed to light up beds and bouquets! Planting Instructions: Incorporation of organic matter and Advanced Formula Plant Food will enhance establishment and blooming. 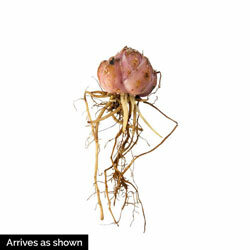 The bulb should be planted at least six inches below the surface of the soil. Additional Information: The cross was accomplished through three generations of breeding utilizing embryo rescue techniques to produce offspring from otherwise incompatible crosses. Multiples annually.